Christmas Eve, 1968: history is made as Apollo 8 astronauts deliver their Christmas message from orbit around the moon. On earth, at The Crystal Ship, a rock and head shop near Hollywood, California, Jennifer Semple listens to the iconic broadcast and, through the fog of drugs, ponders the future. In the ensuing days, the 18-year-old girl experiments with LSD and other drugs; juggles a crumbling relationship with a notorious drug dealer; and tries to make sense of life at 2001 Ivar Street, a Hollywood, California, apartment complex where hippies, drug dealers, freaks, strippers, groupies, college students, Jesus Freaks, counterculture gurus, drag queens, rock stars and wannabe rocksters, svengalis, and con artists converge during one of the most volatile periods in history. Then her grandfather finds the girl and coaxes her into returning to her Iowa hometown, where, unknown to her, she is still considered a minor. After a series of events and blowups with her grandparents, she is dragged into the Iowa court system and involuntarily committed to the Cherokee Mental Institute in Cherokee, Iowa. 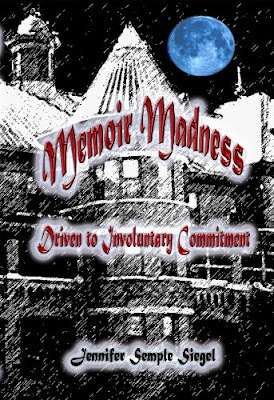 While incarcerated, she corresponds with Jeff, a new boyfriend, and also interacts with other patients: Wolfie, a psychopath who preys on other patients; Penny, a 17-year-old unwed mother; Carrie, a teen cutter with strange obsessions about rats; Joyce, a young married mother enthralled with “10 ways of suicide”; Drew, a young man facing a stiff prison sentence for possession of marijuana; and D.J., a 42-year-old mentally challenged man and 25-year resident of Cherokee, among others. Finally released from the institution, Jennifer flees Iowa and settles in Pennsylvania, where she still lives today. As young Jennifer narrates her late 1960’s memoir, how will the older and wiser Jennifer, now voluntarily returning to Cherokee as a visitor, reconcile that painful time in her history with her current ordinary life as a wife, mother, grandmother, and teacher? BuyMyBook.org (website, artwork, and all text) is copyright 2011-present, by Jennifer Semple Siegel. This text may not be republished or reposted without permission from the author/webmaster.